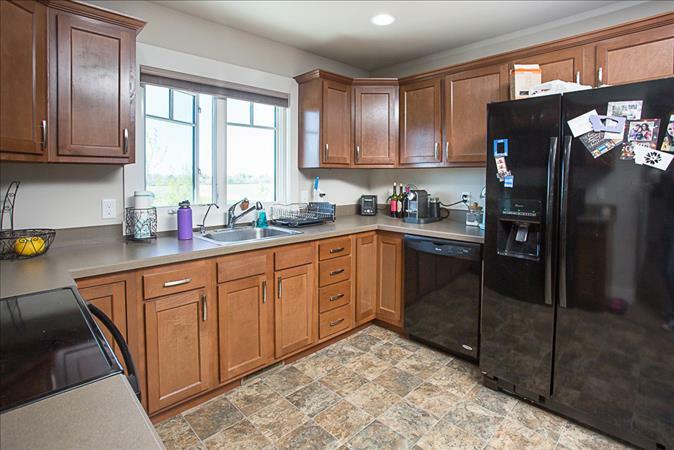 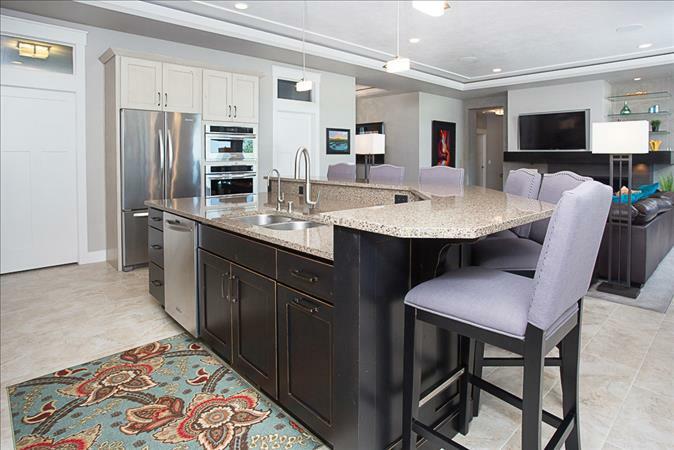 Custom Kitchen with a huge island, quartz tops, stainless appliances, huge walk-in pantry, gas cook top with pot filler, convection microwave, convection oven, under and over cabinet lighting, tray ceiling with sound. 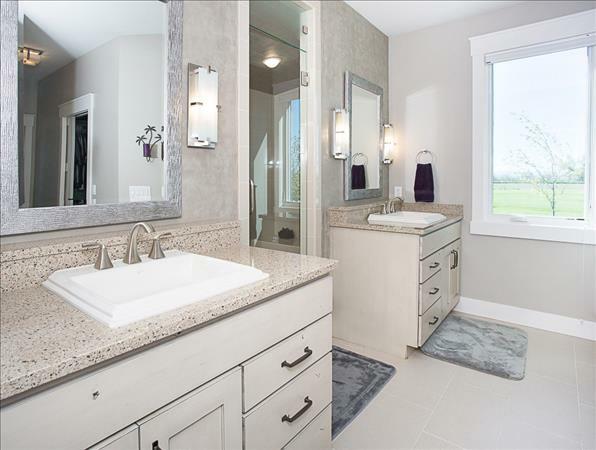 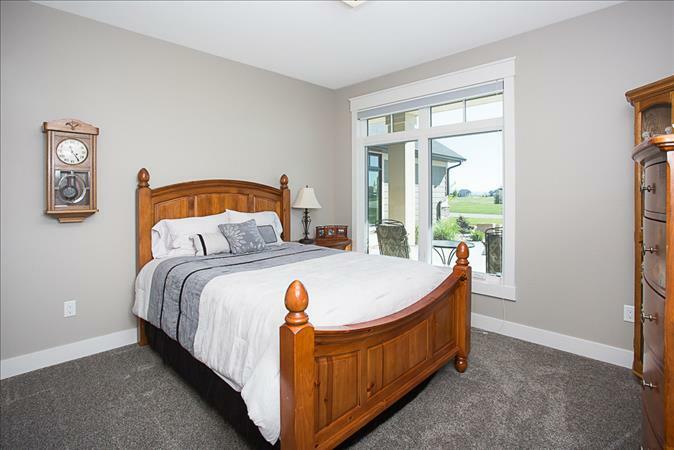 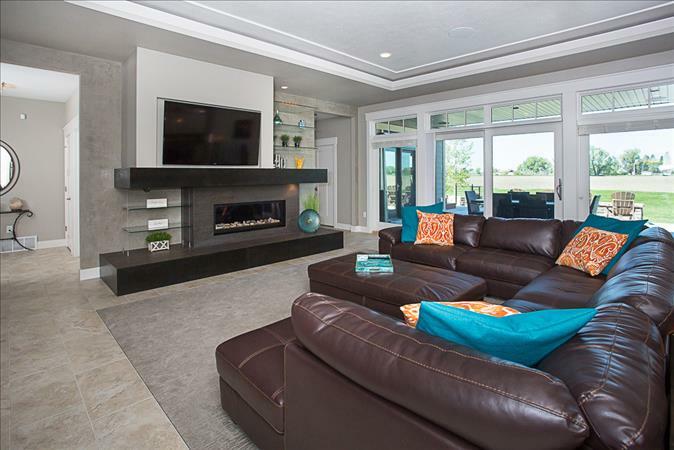 Ceramic Tile and Carpet flooring, custom entertainment center, gas fireplace, venetian plaster, beautiful floating glass shelves, wall of windows and patio door for unobstructed views. 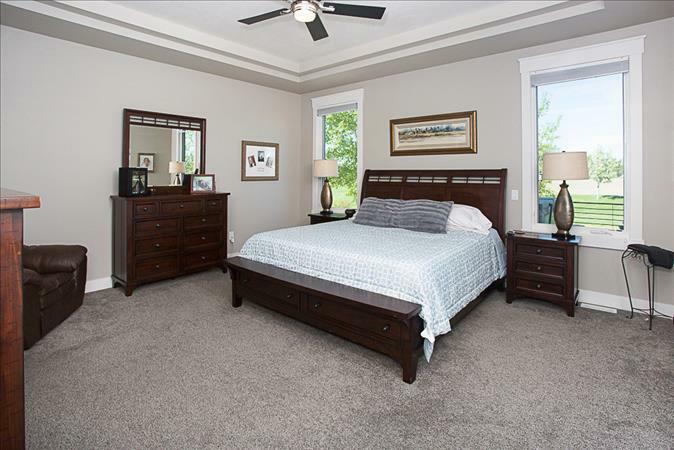 Tray ceiling with fan, French doors to patio, lots of natural light! 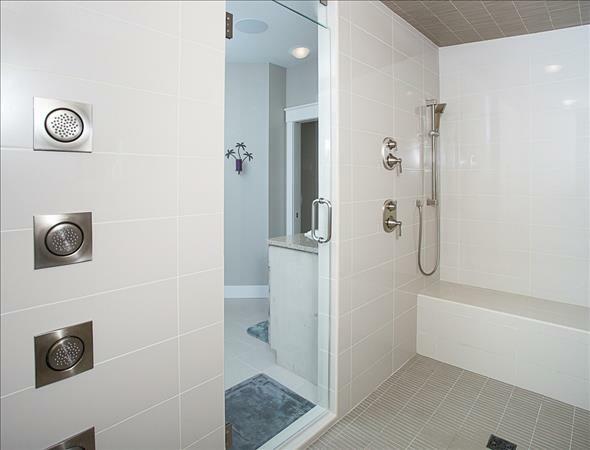 2 Walk-in closets with built-ins, locker room sized custom steam shower with body sprays, 2 shower heads, and a hand held. 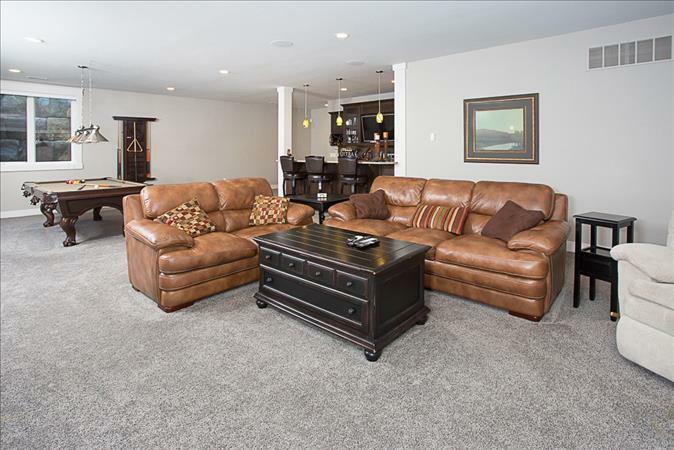 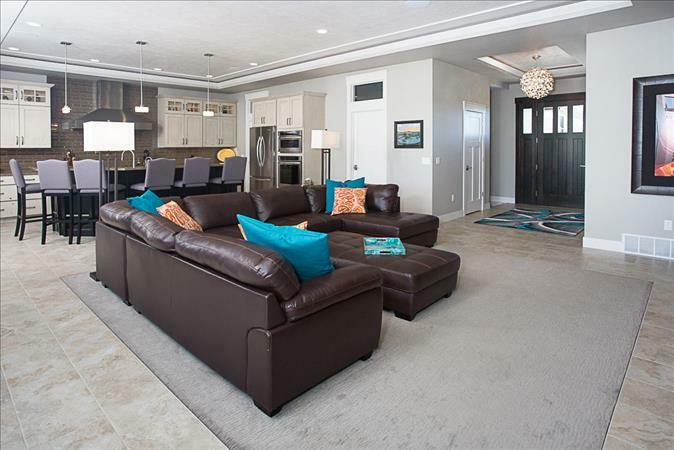 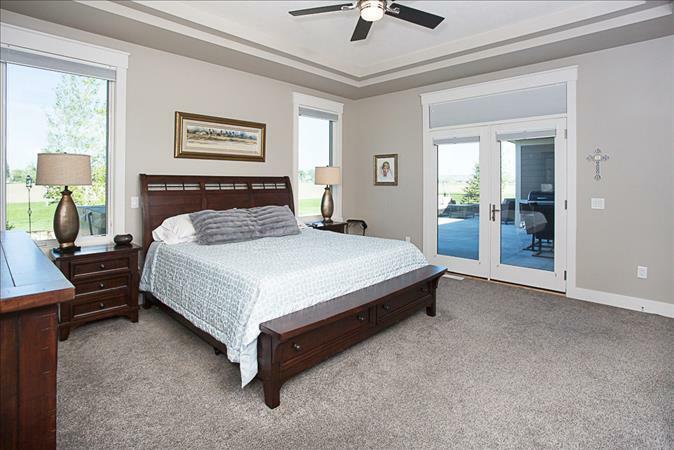 Large open family room with radiant in-floor heat and surround sound. 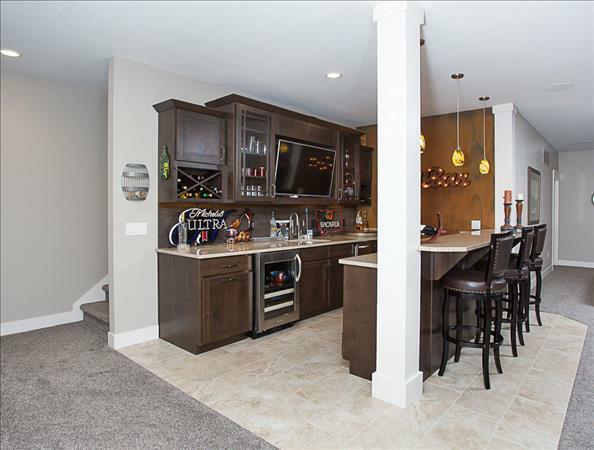 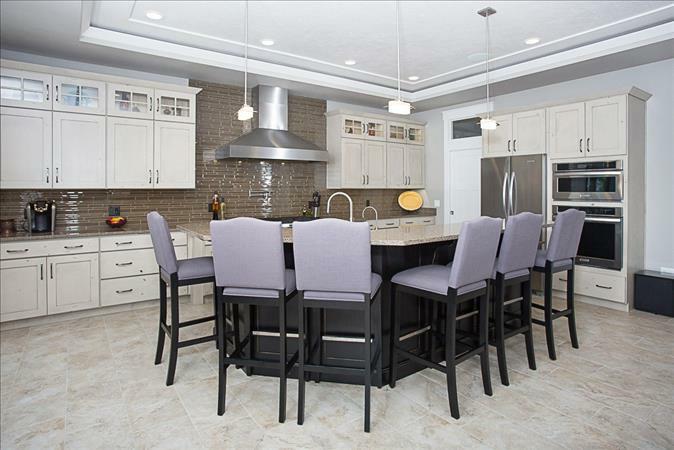 Large custom wet bar for entertaining! 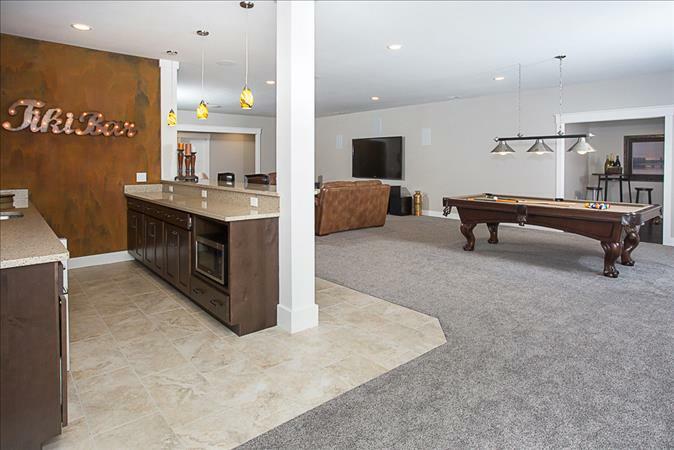 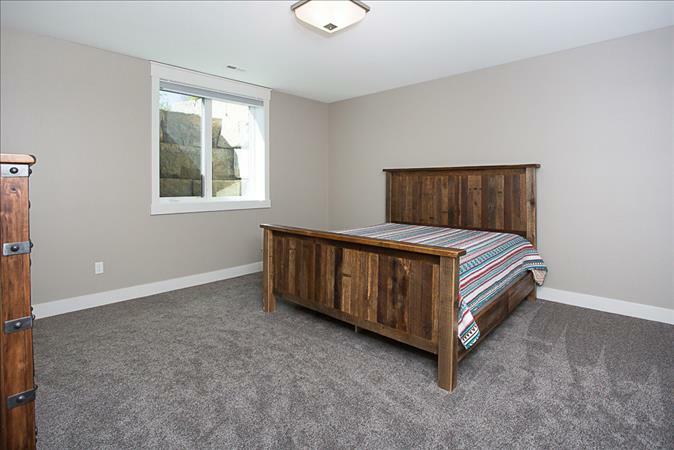 Just off of the pool table location is a room perfect for games or wine storage. 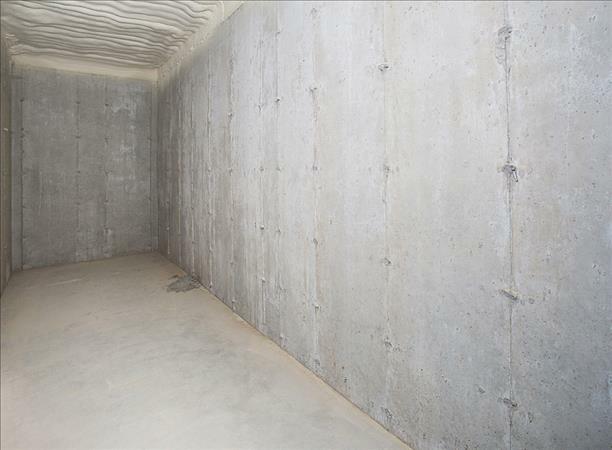 To the left of it is a "vault" room completely encased in concrete perfect for wine storage or a walk in safe! 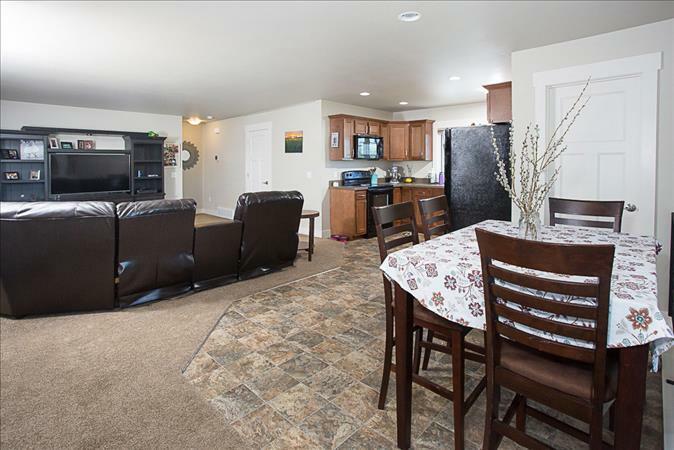 Located above the shop building is an 1100 sqft 1 bed, 1 bath apartment. 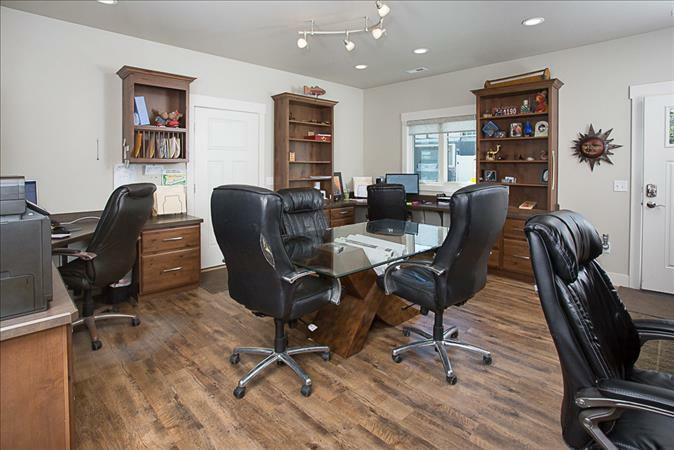 Home office set up in the main floor of the shop building. 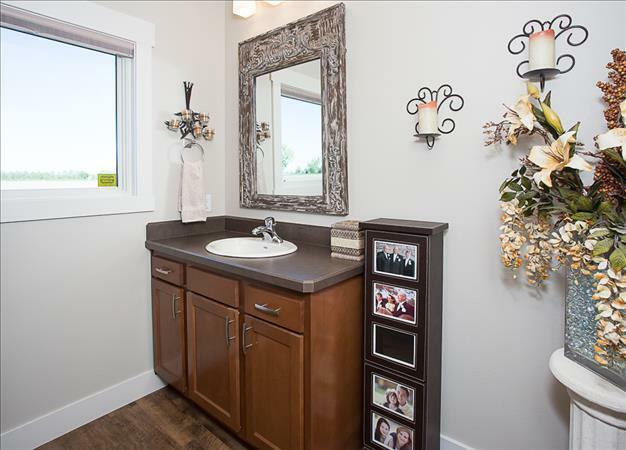 Complete with 3 work stations, mounted TV, and a half bath. 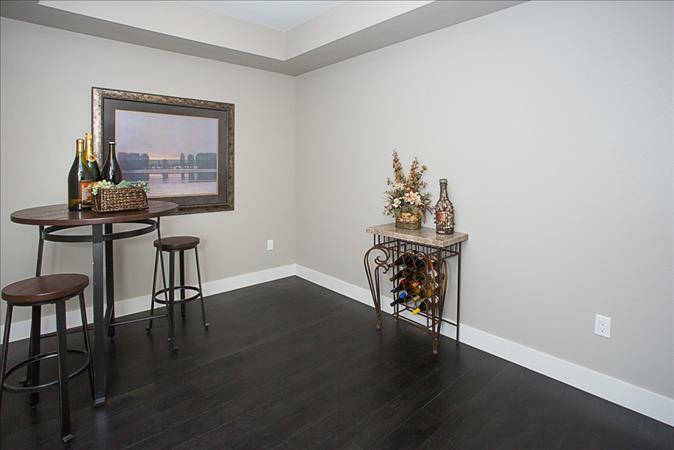 Main floor of shop and office have radiant in-floor heat, the shop has epoxy floors and cabinetry. 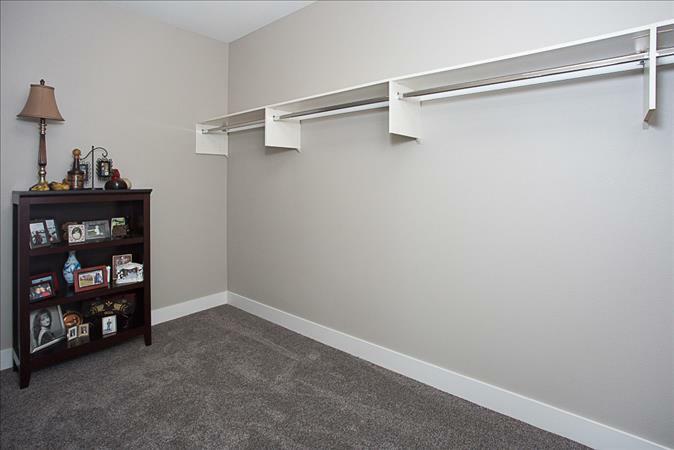 There is a locking storage room; this shop it the ultimate man cave!